Trend Micro AntiVirus plus AntiSpyware is an advanced spyware and virus remover that implements effective real-time protection and provides useful security and privacy functions. It is the essential security you need to safeguard all your data and files. We have carefully tested the program on several computers including absolutely clean machines and PCs infected with different parasites. Trend Micro AntiVirus plus AntiSpyware passed all our tests and produced fine results. 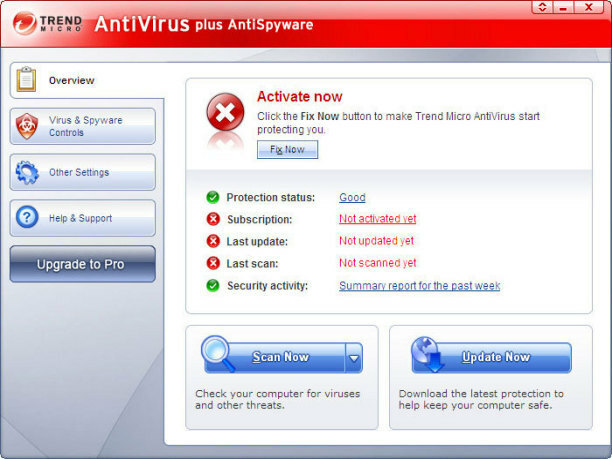 Trend Micro AntiVirus plus AntiSpyware has antivirus and atispyware protection combined together. New anti-virus engine protects against computer viruses, worms, Trojan horse programs, and related security threats. Automatic updates immunize against new computer virus outbreaks. Anti-spyware technology guards personal information and privacy against spyware, rootkits and other malicious software. The application thoroughly checks the Windows registry, running processes, web browser cookies and the entire file system. The user can choose between three scan modes: Quick Scan, Full Scan and Customized Scan. The first one is the fastest, but still very effective. It usually does not take more than a couple of minutes. Full Scan is the most thorough. This mode allows scanning the entire file system and searching for uncommon infections. Full Scan is also relatively fast. It requires only 7-8 minutes to complete. Customized Scan is very similar to Full Scan by default. However, the user can select which system components to scan. Customized Scan is flexible, and can be as much effective as other modes. 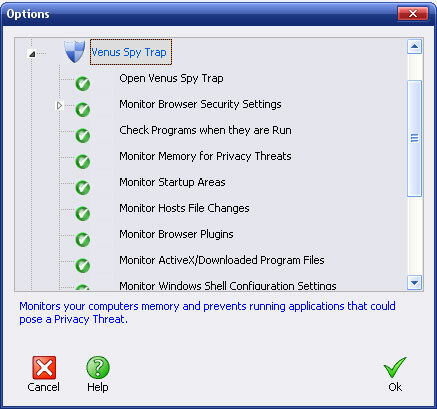 Trend Micro Anti-Spyware uses large spyware definitions database updated on a regular basis. Currently it contains almost 89,000 parasite signatures. 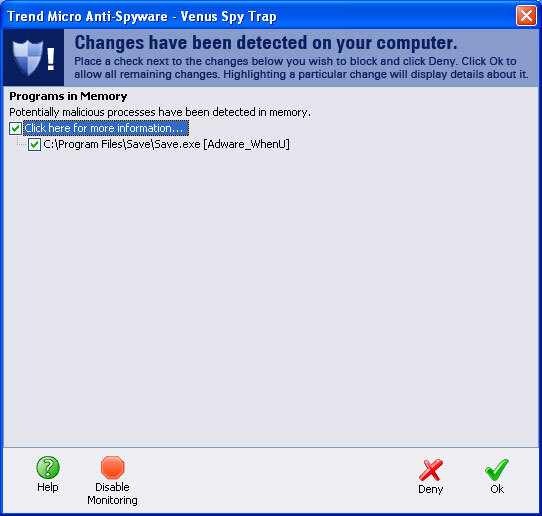 Trend Micro AntiVirus plus AntiSpyware is an effective virus and antispyweare remover, but compared to the other most popular spyware removers, Trend Micro Anti-Spyware’s spyware detection rate is a bit lower. Trend Micro AntiVirus plus AntiSpyware can automatically check for threats in files received through instant messaging, files attached to incoming or outgoing email, and any file that you open, move or save. This component runs in background monitoring the system. It terminates running parasites and blocks malicious software installation attempts. It also monitors startup areas, the web browser, Windows services, system and networking settings in order to detect and prevent spyware and malware from modifying the system and hijacking the web browser. Trend Micro AntiVirus plus AntiSpyware comes with improved Web Browser Cookie Management. 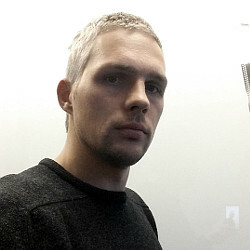 It helps to get rid of Internet browser cookies deposited on computer. The program has customizable security warnings. It lets user to decide exactly how often he wants to receive warnings about security threats. The program’s interface is simple, convenient and user-friendly. The official web site is www.trendmicro.com. Orders are made via secure connection. This entry was posted on 2009-01-14 at 03:57 and is filed under Anti-Spyware, Software.